BCF Legacy’s To The Moon and Back, or “Becky” as we call her, comes from exceptionally heavy milk lines. Her dam peaked at 1 1/2 GALLONS of milk in 24 hours as a 4th freshener. 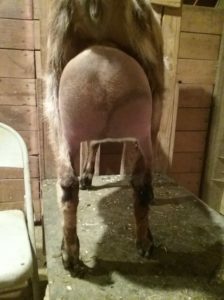 Becky freshened with an udder that is super soft and silky smooth. She milks out like a dream, just like her dam! 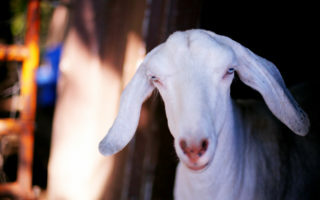 She’s giving us sweet, creamy milk every morning, and has been very cooperative on the milking stand. Her udder is snuggly attached on all sides, with a smooth udder floor, and nice rounded escutcheon. 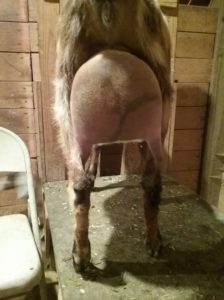 Her foreudder is HUGELY improved over her dams who had the start or a shelf and a pocket, Becky’s udder is seemlessly blended into her stomache, with no shelf or pocket whatsoever! 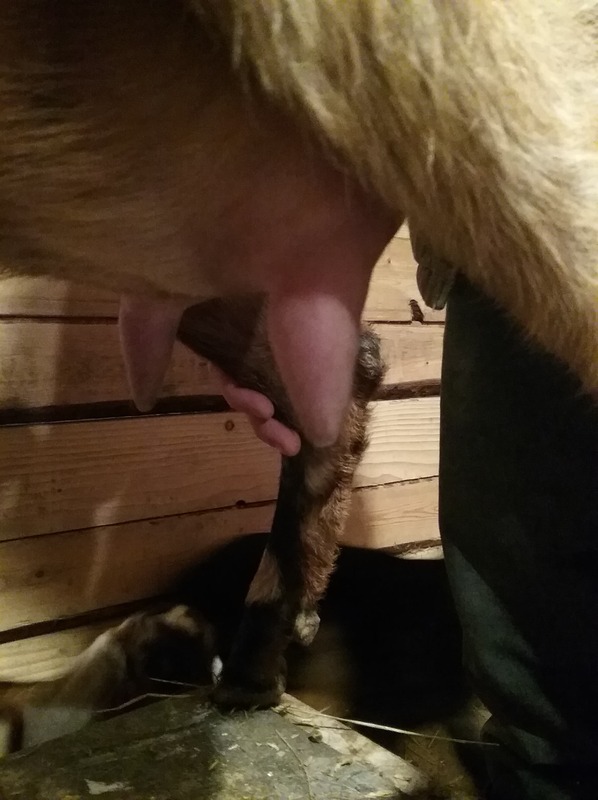 We’d like to see her teats closer together, but they are a nice size for hand milking, and have very open orifices so she empties pretty quickly. Would also like to see a tighter midline down the back of her udder, as you want to be able to see a line dividing the 2 halves of the udder. But she does have excellent lateral attachments, which tells me this udder will be holding up well in future. We are very happy with this girl and plan to keep her here a few years more as we thoroughly enjoy her sweet personality, easy milking udder, and her spots are just so fun to see! You can see more on Becky and her pedigree on her page Here. 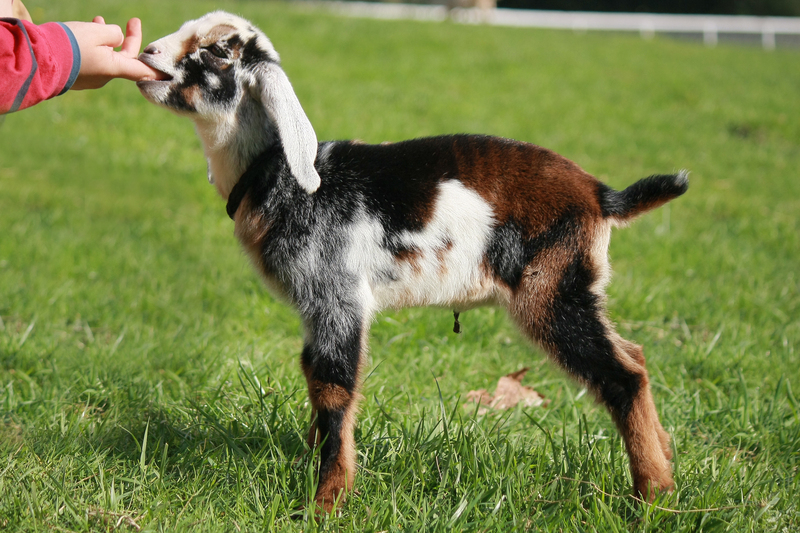 She kidded 1 buck and 1 doe for us this year, her doeling is already sold, but her little moonspotted buckling is available and would make a great herdsire! Need smoother foreudders or better udder texture, he’s your guy! 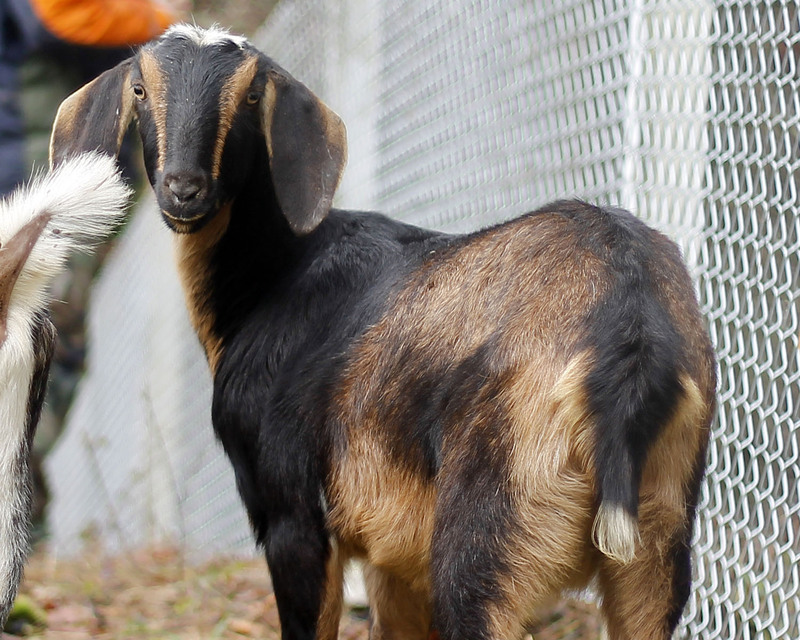 Comment below or use the form on the “Contact Us” page to get more info about “Breezee Creek’s Galaxy” (Becky’s buckling), and check out our “For Sale” page to see his pictures! Previous ArticleGot Kids? We Do!